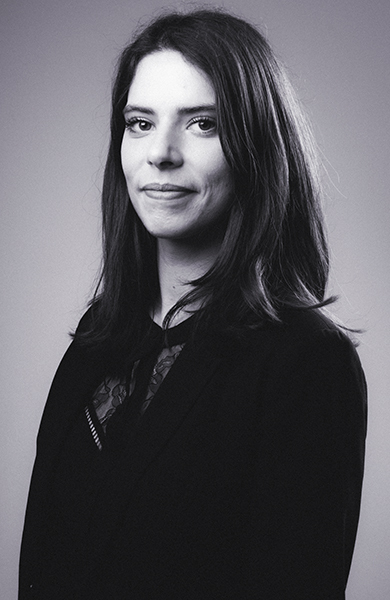 Avocat au Barreau in Paris, Esther Bajeux joined CastaldiPartners in 2017. She is a member of the Employment and Litigation teams and works for international companies and groups, primarily French and Italian. After studying French and Italian law in Paris and Florence, Esther Bajeux began her professional practice with French (Paris, Lyon) and Italian (Milan, Florence) law firms, where she worked mainly with Italian multinational companies or groups on matters related to employment, corporate and commercial law. Esther Bajeux assists companies and their management teams mainly in employment law, covering both individual and collective aspects. She regularly advises on employment mobility issues in the European Union or elsewhere. Esther Bajeux represents and defends companies not only before the social and commercial courts throughout France, but also within the framework of inspections or pre-litigation phases. Her working languages are French and Italian. Assistance to an Italian construction and public works group on issues related to the secondment of personnel, in particular in the framework of an Employment Inspectorate’s inspection. Defence of an English group operating in the luxury leather goods sector in an employment-related dispute concerning the dismissal of its Country manager. Defence of an Italian group in the industrial (plastic packaging) sector in the context of a correctional procedure for workplace accidents. Assistance to an Italian automotive supplier group in the implementation of an anti-corruption compliance measure. Assistance to an Italian group operating in the transport sector in relation to debt recovery procedures.